The logic behind weight loss is actually simple: burn more calories than you eat. 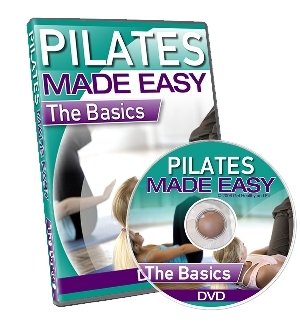 Understanding that is the easy part; the hard part is how to get rid of those extra calories. Exercise is usually the recommended solution — and rightfully so, as it keeps you fit and healthy. Problem is, many of us dread exercise and have all sorts of excuses to put it off (to the detriment of our well being). And if you do exercise, the amount of calories burned off is not spectacular and few of us even known how much that is. In the first place, do you know or ever bother about how many calories you add on each day from the foods you eat? Do you consciously avoid certain types of food? Are you calorie counting and does it work? What if you do the reverse: eat fewer calories by setting a limit? This is known as calorie restriction (or caloric restriction; aka CR), which wikipedia says is a dietary regimen that restricts calorie intake. Usually, your current unrestricted diet is used as the baseline or reference point to decide how much to limit. However, does saying no to food mean you gotta starve and be hungry all the time? Perhaps not. With the help of modern science, a calorie restricted diet won’t make you feel deprived. Welcome news indeed, considering that there are health benefits you can enjoy from a low calorie lifestyle. Living longer by offsetting negative effects of the aging process. Eliminating chronic health issues linked to being fat, like diabetes, high cholesterol and digestive complaints. Improving heart health by lowering cardiovascular risk factors. Boosting memory by 20% on average over 3 months. To succeed in calorie restriction, you need to cut back at least 25% of your calorie intake for at least a year. For this to work, be mindful about counting every calorie and not cheat. It will be useful to engage a nutritionist to tailor-make your meal plans. This ensures you eat well and not neglect your body’s needs. And join a weight loss support group to stay motivated — you might need this when the going gets tough. Sticking to a diet can be quite trying, especially a calorie restricted one. Temptations abound, especially those nice looking desserts and fast food. It takes great discipline to tell yourself you can do without those and not succumb to cheating. Not even once in a long while! If you are a busy person with loads of work responsibilities and hardly enough time for your family, trying to lose weight in itself is a big challenge. And it’s much tougher if you’re going on a calorie restriction diet. 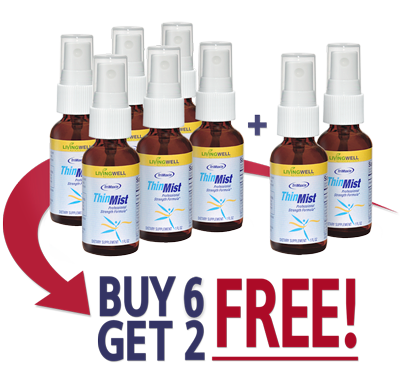 Luckily, there is help in the form of a weight loss spray — ThinMist, from Living Well Nutraceuticals. You’d use this as a dietary supplement, just before eating each meal. This will rev up your metabolism to burn fat and also help you not over eat. 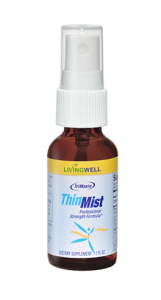 ThinMist can be your first step towards actually losing weight and keeping it off. Once you are accustomed to staying strict with your eating plan, going on a calorie restricted diet will not be hard. 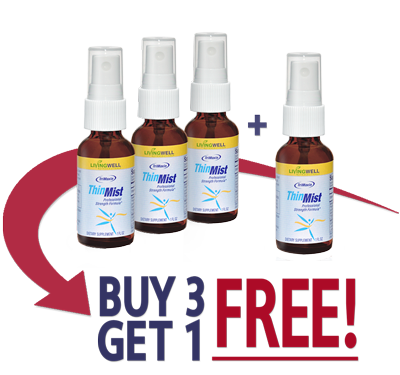 Plus you’ll have ThinMist to help you out. 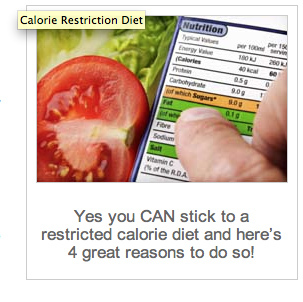 2 Responses to Does A Calorie Restriction Diet Work for Weight Loss? This is the beginning of my Internet Life. as yours. Thank-you. I have incuded a website and email address.